The theme of our fifth seniors expo is “Be Bolder Not Just Older!” and celebrates our 50th year in the Territory and everyone is encouraged to dress or accessorise in gold! Registrations are now open (closing date 31 March 2019). COTA NT’s SENIORS EXPO has been held in late May/ early June since 2015. It celebrates an ‘age-friendly’ Territory and seniors’ ongoing contribution to Territory life. The first Seniors Expo was created by COTA NT in 2015 with a vision of creating a free, open one-stop community event where stakeholders can meet with service providers, businesses and community groups focusing on seniors’ issues, concerns and lifestyle. Lord Mayor of Darwin, Katrina Fong Lim described Seniors EXPO as a “very special community event”. 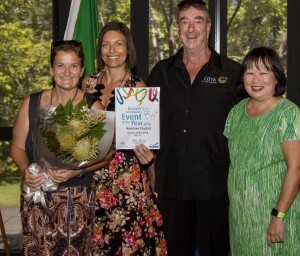 The first Seniors EXPO in 2015 won the Australia Day Award for Community Event of the Year award. Seniors Expo continues to grow. In 2017, over 70 stallholders, over 14 performance groups including choirs, dancers, musicians and a fashion parade, sausage sizzle, have-a-go opportunities, competitions and community morning tea helped create this very special community event. The event is supported by sponsors, grant-funding, stakeholders and an army of volunteers. Over 1000 seniors are expected to attend Seniors Expo. to discuss your options and investment levels. These images capture the celebratory and positive atmosphere generated at Seniors EXPO by its very special attendees. We hope you enjoy these memories as much as we enjoyed creating them.